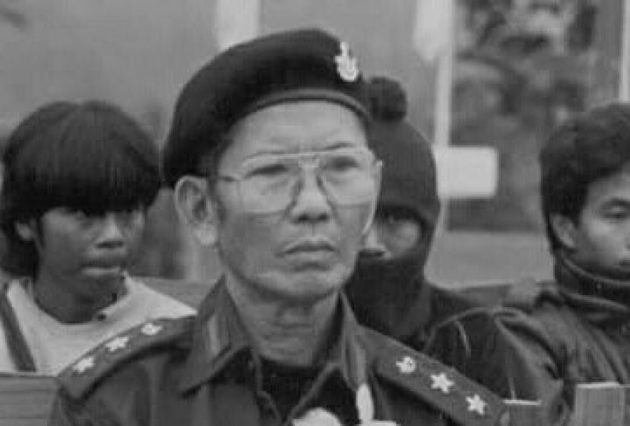 General Saw Ka Sel Doh, a Karen resistance fighter who joined the Karen Nation Union’s armed wing in the first months of its existence in 1947, has passed away. Gen. Saw Ka Sel Doh, 92, died in Mae Sot Hospital, this morning, on July 31, after months of declining health and hospitalization on July 24, according to his grandson Saw Htoo. “He passed away at the age of 92 this morning,” Saw Htoo said. Gen Saw Ka Sel Doh joined the Karen National Defence Organisation, the precursor to the Karen National Liberation Army (KNLA), in 1947. He served the KNLA for 67 years until his retirement in 2014.